What’s your favorite cookie? Is it a homemade chocolate chip cookie? Or maybe you love easy no-bake cookies. Or, when you crave a cookie, do you run to the grocery store and pick up a package of Oreos? Or Chips Ahoy? 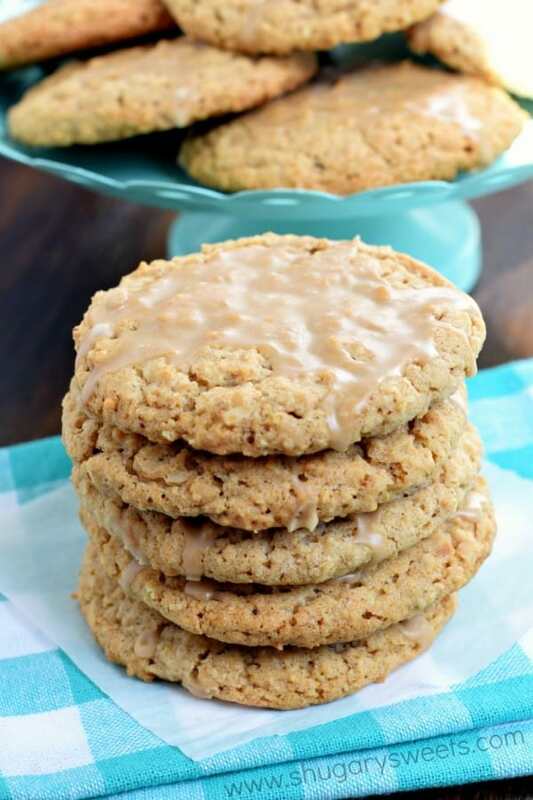 Or how about those Iced Oatmeal Cookies? Truth comes out when I ask these questions, haha. While a love these Perfect Chocolate Chip Cookies, my favorite might just be those store bought iced oatmeal. 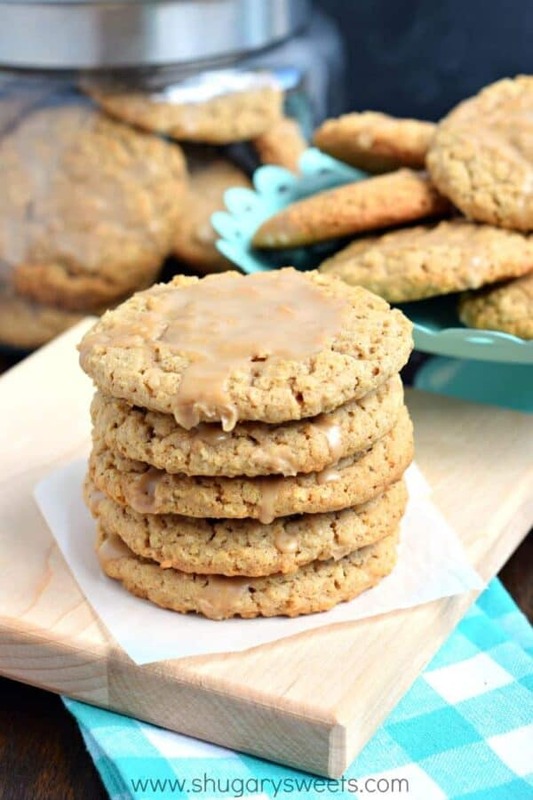 A few years back I made a homemade version of those classic ice oatmeal cookies. I was actually planning on making those again last week, until I noticed a little bottle of maple flavoring in my spice cupboard. I knew it would pair perfectly with these oatmeal cookies. I not only added the maple to the cookie dough, but also to the sweet icing on top! So here’s my next question. Do you like crunchy or chewy cookies? Or do you like puffy cookies with a cake-like texture? For me? I love a good cookie that has a crunch on the exterior with a chewy center! Today’s Maple Iced Oatmeal Cookies are perfect for those families who have divided tastes, haha. 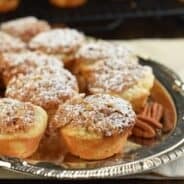 They DO have a crunchy texture on the outside, but a sweet chewy maple center. I think you’re going to love these. The recipe makes about 27-30 cookies and they went FAST at our house. I’ll be making them again very soon! In a food processor (or blender), add oatmeal and pulse until partially ground. Don't make into a fine powder. I pulsed mine 6-8 times, for about 1-2 seconds each time. Set aside. In a large mixing bowl, blend together melted butter with sugars. Mix for several minutes until well combined. Add in eggs and maple flavoring. Add cinnamon, nutmeg, salt, baking soda, baking powder, oats and flour. Mix until thoroughly blended. Drop by large scoop (I use a 2 Tbsp scoop) onto a parchment paper lined cookie sheet. Bake for about 14-16 minutes (I tend to go closer to 16 for a little extra crunch when they cool). Remove from oven and cool on pan 3 minutes, then cool completely on wire rack. For the glaze, whisk together the sugar, maple and milk until smooth. Spoon over each cool cookie and allow to harden (about 15 minutes). ENJOY! 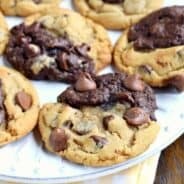 Perfect Chocolate Chip Cookies: these are my most requested cookie by family and friends! 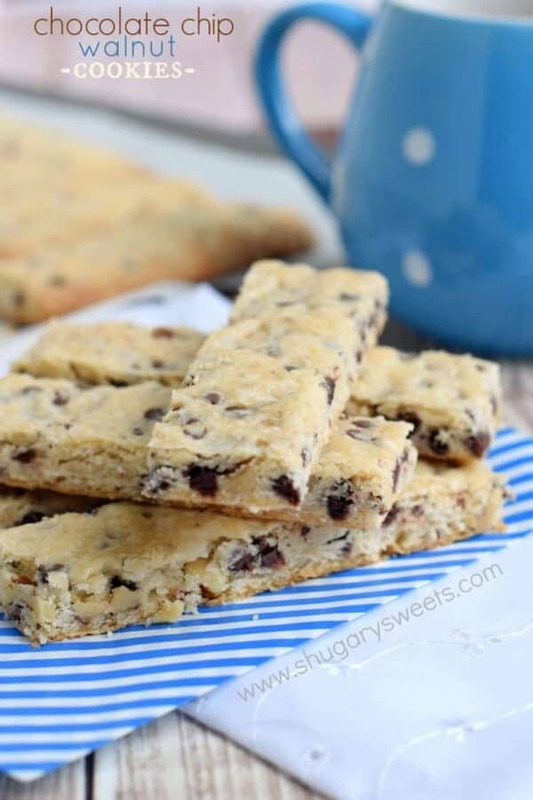 Chocolate Chip Walnut Cookie Sticks: these buttery shortbread cookie sticks are amazing!! 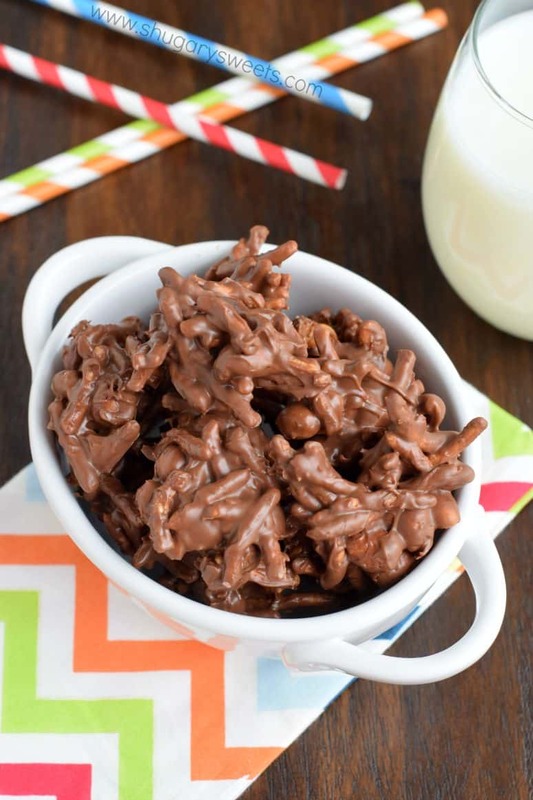 Spider Cookies: these no bake cookies are easy enough for the kids to help make! 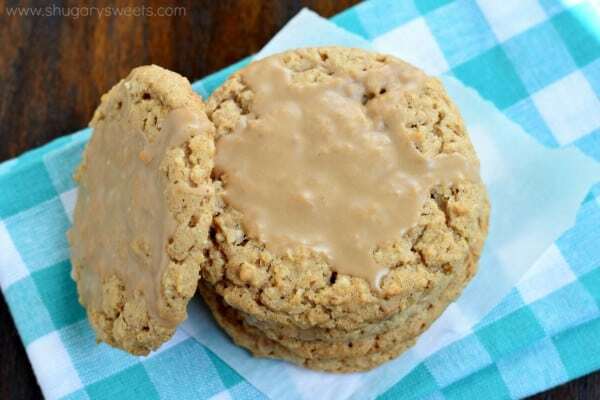 Any cookie with maple sounds amazing to me, but the oatmeal combo has my mouth watering. Dear Aimee, this New England girl loves everything maple. Yesterday we went to the Deerfield Fair, New England’s oldest family fair – (since the 1700’s!) and among other things, had maple iced fried dough! Divine. Reminds me of your scrumptious iced cookies! Must try these. oh my gosh, maple iced fried dough? That sounds amazing! I wouldn’t part with these for a million dollars, haha!! The maple icing makes these super special — pinning! 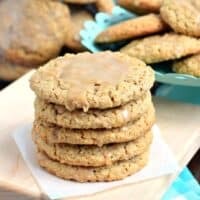 Cookies that are crunchy on the outside and soft and chewy inside are my favorite! I love the maple icing on top of these cookies! Give me one of these cookies.. and then I’ll eat 8 more! How delicious, I love that maple icing! Oh yum!! That’s pretty much my favorite cookie consistency! 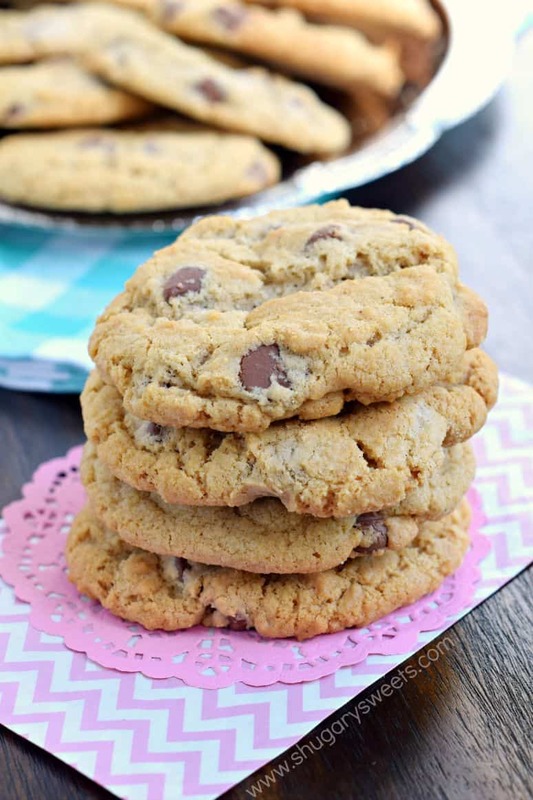 I think chocolate chip is my absolute favorite cookie to make but I am living the maple and oatmeal combination in this! Crunchy on the outside and chewy on the inside is the best! Love the addition of maple! Chewy cookies, Aimee. Every time. The cakey ones just make me want to throw my hands in the air and give up. Why even bother? Maple icing is pretty much where I want to live. Build me a house made out of it. These are perfect! 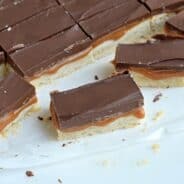 I’m making these for my Christmas Cookie Exchange, they sound so good! I have to make 14 dozen!! Question, do you have to use maple extract? How do you think maple syrup would work? Can these cookies be made ahead and frozen for Christmas? They look delicious. I made these last night, 5/9/18. The house smelled AMAZING! I opted to make them crunchy by baking 16 mins. Next time I’ll bake a sheet for the min time noted. I’ll also use a smaller scoop. They enlarged more than expected. My coworkers will love me today!